The iconic EMU Australia Stinger Lo is a water resistant women’s boot handcrafted from the finest Australian double face sheepskin. The original mid-calf boot, they are built on a cushioning and durable outsole for great comfort and fit. A truly iconic style, the famously comfortable women’s Stinger Lo boot surrounds your feet with the natural fibres of Australian double-face sheepskin to deliver a warm, soft and durable fit. 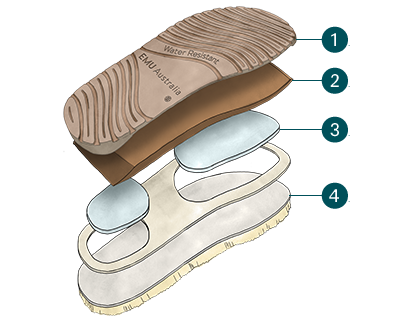 Technically advanced, they are water resistant and feature a sheepskin lined insole, moulded heel cup and a dual layered EVA and rubber outsole for unmatched comfort. 1. Naturally durable rubber for extra traction & ground insulation. 2. Moulded EVA layer for comfort & support. 3. Soft foam inserts for added comfort. 4. 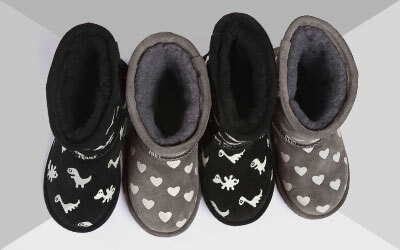 Australian sheepskin for the ultimate in warmth & comfort.